In genetics, "junk DNA" or noncoding DNA describes components of an organism's DNA sequences that do not encode for protein sequences. Junk DNA - What is Junk DNA? In the January 7th edition of Communications Biology, researchers at InsideOutBio argue that an unusual form of DNA with a reverse twist may have helped thwart the invasion of the human genome by junk DNA. Researchers have discovered a regulatory gene carried on the Y chromosome that determines whether a baby will be male or female and the risk of disease. Cancer cells often have mutations in their DNA that can give scientists clues about how the cancer started or which treatment may be most effective. Finding these mutations can be difficult, but a new method may offer more complete, comprehensive results. The more scientists explore so-called "junk" DNA, the less the label seems to fit. A koala virus could help researchers explain millions of years of accumulated ‘junk’ DNA in the human genome. 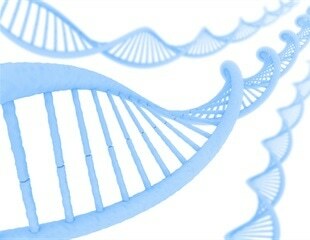 Researchers at Princeton University have used video imaging to capture the process by which junk DNA activates genes. In most cases of prostate cancer, tumor cell growth is stimulated by the action of male hormones, or androgens, such as testosterone and dihydrotestosterone. The cell has its own paramedic team and emergency room to aid and repair damaged DNA, a new USC Dornsife study reveals. Researchers have created a high-resolution map of the entire epigenome of chronic lymphocytic leukemia, the most common form of leukemia. Researchers at the University of Michigan Life Sciences Institute and the Howard Hughes Medical Institute have determined how satellite DNA, considered to be "junk DNA," plays a crucial role in holding the genome together. By turning down the activity of a specific RNA molecule researchers at Sahlgrenska Academy, Sweden, have cured lung tumors in mice by 40-50 percent. A team of researchers led by a bioinformatician at the University of California San Diego has developed a method to help determine whether certain hard-to-study mutations in the human genome, called short tandem repeats or microsatellites, are likely to be involved in harmful conditions. Scientists from UCLA and the Howard Hughes Medical Institute successfully used a gene that suppresses cholesterol levels as part of a treatment to reduce plaque in mice with a disorder called familial hypercholesterolemia. An international team of scientists, led by University of California San Diego School of Medicine researchers, has created a human stem cell-based model of a rare, but devastating, inherited neurological autoimmune condition called Aicardi-Goutieres Syndrome (AGS). An interview with Dr. Chase Spurlock, CEO, discussing IQuity's research into IncRNAs and how they are linked to autoimmue diseases. Researchers have discovered one of the reasons why broccoli may be good for your health. A University of Toronto (U of T) study on fruit flies has uncovered a gene that could play a key role in obesity in humans. Over millions of years retroviruses have been incorporated into our human DNA, where they today make up almost 10 per cent of the total genome. The Retinoblastoma protein (pRB) has long been studied for its role in cell growth and the prevention of cancer.